Police investigating the disappearance of Charlotte Murray have been given more time to question a man arrested on suspicion of her murder. 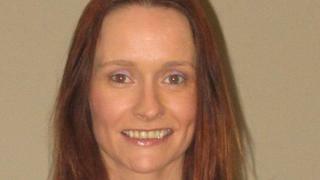 Ms Murray, from Omagh, County Tyrone has not been in contact with her family since late 2012. Police have said they believe she was murdered. A 46-year-old man was arrested in Dungannon on Monday. On Tuesday police were given an extra 36 hours to question him at the town's police station. Det Ch Insp Eamonn Corrigan said: "Charlotte has been missing for five years and her family miss her and deserve and need to know what happened to her." Ms Murray was 34 when she was reported missing in May 2013. She was originally from Omagh, but had been living in Moy. Last week, her family took part in a police appeal to mark the fifth anniversary of her disappearance. In a video posted on the PSNI's Facebook page, her twin sister, Denise, appealed for information. "We just want to say goodbye and lay her to rest," she said. In last week's appeal, detectives also asked for information about Charlotte's engagement ring and her Samsung Galaxy mobile phone. They said both items were of "great importance" to the investigation.